Up until recently, DuluxGroup’s IT team – with around 100 staff – operated in a reactive state and was very much viewed as a cost centre supporting a diverse organisation made up of 18 autonomous business units. CIO Matthew Perry joined the $1.7 billion paints, adhesives and home improvement products company in 2013 when the IT group's primary focus was to support the organisation's supply chain and manufacturing activities. DuluxGroup had demerged its consumer products operation from Orica in 2010, and acquired Alesco Corporation in 2012, a business that included Parchem construction products, B&D roller doors, ATA electronic openers, and Lincoln Sentry cabinets and windows. 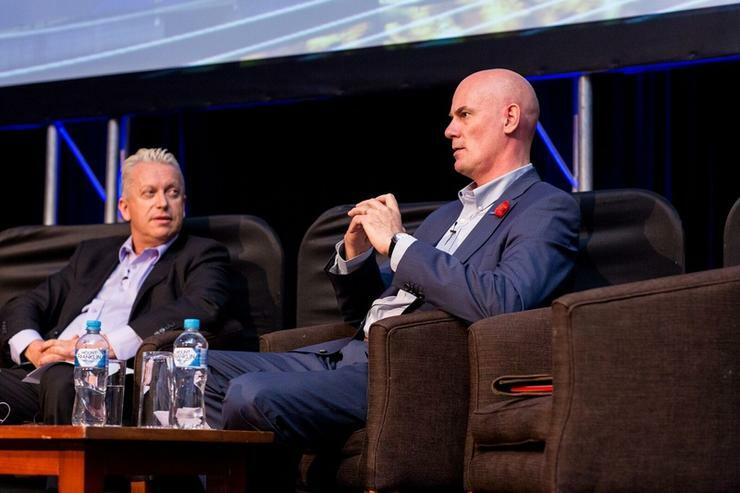 "During that whole time, our primary focus was on manufacturing and supply chain, which was interesting because when we started to look at the value chain of our business, we realised that the value was more in R&D, sales, marketing, brands and products," Perry said at the CIO Summit in Melbourne. "We were dedicating 5 per cent of our resources to those functions, and 95 per cent to infrastructure, manufacturing and supply chain [activities]," he said. "With that in mind, we started to re-organise the IT function." Each of the organisation's 18 business units was running its own ERP and CRM systems, business processes, and functions. "It was quite extraordinary," he said. "I don’t need to talk about the obvious possibilities of harmonising and rationalising that landscape." Perry and his team also started a discussion with the business about providing a clear delineation between 'core or commodity' and 'differentiating' services. "In each of these 18 business units, everyone did their 'order-to-cash' differently, they had different CRM processes and so forth – these are commodity services," he said. "We shone quite a harsh light on these commodity services where we talked about effective, efficient and secure services [in contrast to] differentiating services primarily found in R&D and marketing – where we were less concerned about the cost, and more interested in speed to market and agility. This was a different value proposition," he said. Perry said the IT group looked at the "space between" each of the organisation's business units to determine where efficiencies could be achieved and cost savings made under a transformation project dubbed DuluxGroup 2020. This initiative is supported by a cloud-first, 'SAP only' mantra to 'dial up and dial down' services as they are required. “Some people say you shouldn’t lead business transformation projects out of IT – I think, ‘why not?’ I’ve got just as much right to lead this as anyone else, I’ve got a vested interest in the company, shares in the company, I am a senior leader – so I’m accountable for the profitability of the company as well. “IT has moved very much from the back of office to an IT strategic partner in our company in the space of about 18 months or so,” he said. To help shift the focus back to where DuluxGroup’s real value lies, Perry created a graphics and multimedia group where IT works very closely with the company’s marketing department. In three previous roles, Perry said he set up similar groups to better connect 'disenfranchised' IT departments with marketing. “The chief marketing officer calls me his ‘work wife’, so we are absolutely connected at the hip. Many of the activities that are driving business improvements are coming from the IT function because of that shift into the true value chain of our business – R&D, marketing, sales, products, customers and consumers. “Our IT business partners spoke to [people] at our three top brands in our paints division to investigate how much they were spending on invoices under $5000 with agencies. Across three brands annually on invoices under $5000, [we were spending] $800,000. So this was an easy win. “We’ve now got six graphics and multimedia people full time," he said. "I explained what I was going to do – I did not ask for permission, it's my responsibility and said, ‘if this is not successful, we will fund this.’ I made sure that these graphics and multimedia people sat down in the IT function. He said sales and marketing people are constantly traversing the IT function to get to these graphics people so they can deliver what they love – a very agile service at half the cost of any agency – for video productions, graphics, and so on. Perry has also championed the idea of creating a digital engagement group. “DuluxGroup – through our products Selleys, Yates and so forth – we are very good [at creating advertising] across broadcast mediums, TV ads, magazines, and billboards. This group now has the budget to grow from 12 to 30 staff, he said. "This is funded as part of the marketing budget, which makes sense, and they [our marketing teams] are delighted because they get content management systems, mobile, online CRM - the full works. It [the digital engagement group] is made up of marketing and IT people comingled,” he said.